In addition to the major international gatherings, local gatherings have taken place in the UK and USA. A play of "Requiem for a Wren" was put at Exbury house in June 2005. In April 2004, John Stanley launched his new book "The Exbury Junkers" at Exbury House where David & Kate Dawson-Taylor represented the foundation. In the UK, a local gathering was held on 15th and 16th May 2004 at the Gateway to York Hotel in YORK. Alison Jenner organised a weekend in Dartmouth UK in May 2008. A gathering of Shutists took place at Shrewsbury School, UK, over the weekend of 25/26th June 2010. Click here to see a narrative report by Andy Burgess. UK Book Group meetings were begun by Alison Jenner and meetings are now a regular feature for UK Shutists.In October 2012, members met at 14 Helena Road, Southsea (the home of Nevil Shute from 1936 - 1940),thanks to the generosity of Mrs James, the present owner. "What Happened to the Corbetts" was discussed and was a very enjoyable occasion. In May 2013 the venue was Balliol College's archive centre in Oxford where Pastoral was discussed in the surroundings of the converted St. Cross Church. In March 2014 the book group met at Chepstow to discuss "Beyond the Black Stump", followed in May by a visit to Petersfield where 15 of us combined a discussion of "So Disdained" with a visit to Petersfield Museum to view their collection of Shute letters and diaries. A highlight was a talk by Val Biro, renowned book illustrator, who talked about his work and brought along his remarkable folio of book jacket and illustration designs. In November 8 of us met near Bristol to discuss "Lonely Road". On 21st March 2015 we met at Brooklands Museum, where "Runied City" was discussed and we visited Brooklands many attractions. On 11th July 14 of us met at the Bugle Inn, Hamble to discuss What Happened to the Corbetts. It was an excellent meeting next to the Hamble River where much of the book's story is set. US Book Groups or "Chapters". Subsequent to the 2001 Biennial Conference in Australia, Shute enthusiasts from other parts of New Jersey and Pennsylvania joined the Chapter. A number of Eastern Pennsylvanians joined the group as well as a dedicated couple from New York City. As the geographical composition of the group expanded, a name change became necessary. In July 2007, the chapter was renamed the "Tri-State Shute Book Society." Over the years, the group has met in members' homes, local libraries and restaurants. In 2007, after 14 memorable years, the Holzels passed the baton to Laura Schneider. Beall Fowler is our Facilitator and our discussions have been greatly enhanced because of him! The chapter meets four times a year on Saturday or Sunday afternoons alternating between Central New Jersey and Eastern Pennsylvania. The Tri-State members have been a steady presence at all the Nevil Shute Foundation Biennial Conferences and the group will be represented in the upcoming biennial conference in Tasmania. We're very proud that chapter members have given presentations at each of the seven conferences. The Colorado Nevil Shute Chapter was founded by Art Cornell, Babette Hills and Robert Wester after OZ2001 for the six Colorado residents who met there. The first meeting was held in Littleton, Colorado in May 2001. They average about twelve people at each quarterly gathering held at a member's home, sharing a potluck meal and "show and tell" of items of interest from our chosen Nevil Shute title for discussion. New members and visitors are welcome. Please E-mail Babette Hills if you will be visiting the Rocky Mountains or wish to join our fascinating group. We now have a Colorado Chapter web site developed by Candace Ruiz. The Cape Cod Nevil Shute Chapter began shortly after Art and Joan Cornell moved to Cape Cod Massachusetts in 1999. Previously they had lived in New Jersey where they started reading Nevil Shute. It was there they fell in love with his books and thought they would enjoy meeting other Shute readers. Art and Joan live now on Cape Cod only two miles from where Donald Ross in An Old Captivity landed his seaplane and found the stone left by the Vikings. The Dartmouth Chapter of the Nevil Shute Society is an organization of people interested in reading and discussing the works of the internationally known author, Nevil Shute. Meetings are scheduled on the first Saturday of each month to discuss one of his works in detail and to circulate information to members about the activities of the Nevil Shute Norway Foundation. The Dartmouth Chapter is the local representative of the Nevil Shute Norway Foundation for the Upper Connecticut River Valley of Vermont and New Hampshire. It is not related to Dartmouth College. Membership is open to anyone wishing to attend one or more meetings. There is no membership fee and the meetings are free to all who wish to attend. 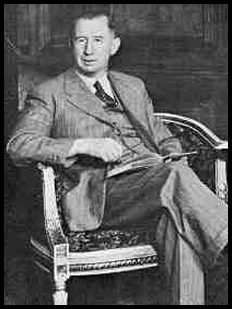 Their website is intended to provide a place to follow the activities of the Dartmouth Chapter of the Nevil Shute Society, to give you a chance to contribute information to the Chapter members, and to provide information about Nevil Shute and the Nevil Shute Norway Foundation.